Shape Up Your Shingles | Roof Installations Worchester MA | Nor'easter Roofing Inc.
Sunshine and spring have finally arrived and there is no better time than now to get to work on any outdoor projects you may have at your home. Whether it be landscaping for the yard, adding an addition such as a desk or porch, or focusing on the actual exterior of your home. When it comes to your home’s exterior, and more specifically your roof, we would love to be the ones to help get the task checked off of your list in time for summer. 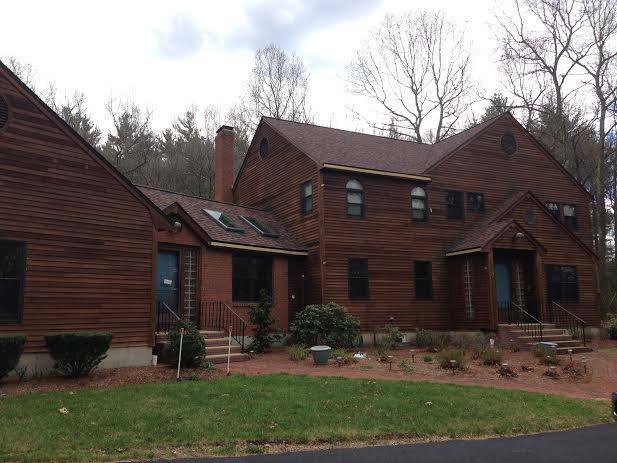 Take the house featured below as an example, as it is sure to stand out now this summer with these Certainteed Pro Burnt Sienna Shingles that the Nor’easter Roofing crew recently installed. We truly value our clients and ensure the most reliable and professional work. The roof is the key structure to protect your home, and your home is one of the most important investments you will ever make. With over 25 years of experience, we know exactly how to replace and repair any roof, with top of the line shingles and products.